Our editor Victoria Jordan points you in the direction of a few articles guaranteed to make you ponder. Read about a French collective of women defending their “right to bother”, Hadley Freeman’s inspiring 2018 resolutions, or explore the European roots of US white-nationalism. I must apologise in advance: this Goodreads will bring a heavy dose of France from E&M’s French editor. Just in case last year’s French elections, news coverage of its “Jupiterian” president Emmanuel Macron, the death of uniquely French rockstar Johnny Hallyday and other news from the Hexagon had you craving for more. But one of the latest reasons why France made the headlines is difficult to ignore. Well, not all of France. 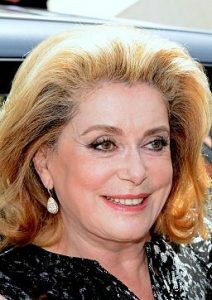 A collective of about a hundred French women, including internationally famous actress Catherine Deneuve. The letter has sparked numerous reactions, in France, in Europe, in the world. Some of virulent attacks, some of half-hearted agreement, some of enthusiastic praise like Berlusconi’s. Among them, this New Yorker article by Lauren Collins rejects the lazy explanation of the cultural uniqueness of French séduction. A short and refreshing article in the huge volume of what has been written by its simple acknowledgement that these women’s reaction is a failure to fathom the struggles of other women, a failure to understand the concept of intersectionality. What Collins calls “a failure of the imagination” really denotes the tightness of social stratification in most European countries, one that might be generational as well. And for readers of French, Leïla Slimani expresses in this article, simple and beautiful, that having legitimate claims to her freedom, to her right to live in the open in a world that is just as much hers as anyone else’s is not an expression of weakness. But of hope. Hope for a world that will be anything but ‘puritan’. In other bright happy news of the world we live in, earlier this winter the New Yorker published an article titled “You Will Not Replace Us”. In this long read, Thomas Chatterton Williams explores the European roots of US white-nationalism. And more precisely the distinctively French roots of identitarianism. The article touches upon multiple concepts of white nationalism developed in Europe and adopted and adapted in the US. Analysing the (many) problems with identitarianism (“a nostalgic and aestheticised view of the world… that fixates on ethnicity to the exclusion of all else”), how the thinking of the French Nouvelle Droite“crept out of French salons and all the way into the Oval Office” and the easy manipulation that often comes with such thinking, Thomas Chatterton Williams doesn’t forget the impact of blind and blissful cosmopolitanism in feeding resentment. Not the lightest read, both in terms of content and form, but fascinating. And to conclude on a slightly more cheerful — and less French — note, read Hadley Freeman’s 2018 resolution. Recommended to me by another incredibly talented E&M editor, “No more self-doubt” is for everyone to read and ponder. I do hope that not too many people will recognise themselves as accurately as I did myself in this article. But asking for permission and feeling like an imposter are all-too-familiar impressions. Simple, heartfelt articles like this one, public interventions like Oprah’s Golden Globes speech, intimate conversations and supporting friends are making it increasingly clear that such self-doubt is non-sense. So, no more self-doubt.